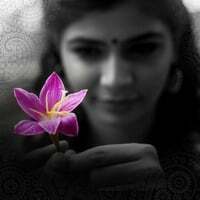 I am looking for fresh voices (male & female) to participate with Chinmayi on shows. Tuneful, flexible voices, pl. send in your compliance with your e-mail address and phone numbers. The replies will not be published in the comment section of this post. I didnt know exactly who you are until today,but when i was watching ye maya chesav i felt the heroine's voice same as the one of sameera reddy's in surya s/o krishnan,asal and also the voice of trisha in vinaithandi varuvaya.then after doing some googling i found that its you who had dubbed for them. I am surprised to know that you maintain a blog of your own and felt that i can write some inspiring words to one of the best voices i have ever heard.I am from AP and my humble request to you is that i would love to hear your voice more in telugu in future. kudos to you for running a company on your own. And reg this post, will be thankful if u mention the email address. Your dubbing for the heroine in ye maya chesavo is totally awesome. Recognised that it is the same voice of sameera reddy in surya s/o krishnan. How come you knew telugu so fluent? u r voice is superb i felt the voice is coming from air,i am searching in the net from past 1 day in the net about whose voice is this after watching the movie. Watched vtv 3 time in a row. Finally got a ticket @ satyam. No words to describe your voice.ARR BGM's was awesome. when i first heared kannathil muthamittal song, at that time i was a victim of ur voice. Totally VTV was an amazing movie. - true fan of chins. How do you change voice? as I could find a greater spectrum of variety in your songs. Its so brilliant sometimes I find it hard to understand that its chinmayi. Wish you all the best, " You didnt give voice but life to that character Jessie in VTV"
Hope to get some more variety from you. loved your vaoice in vinnai thandi varuvaya. its adds class to the beautifully etched character. Kudos! athu ennanga karakka murugan karakka murugan.. margali padathula padirkkinga.. lyrics comedy ya irukku..
eppavum pola u r rocks with shankar ji. I will echo all the comments given by others in this forum.You belive it or not, just to hear your voice I have seen Ye maya chesavo 4 times..Awesome voice. As yamini said...I too wish you would do more telugu movies. How will you feel while you work with new singers or with new composers ? You feel proud or Humble? suppose if you work for my music will you work ? Please frank answers, if you wish you can answer. This is Viji. I Love Your Voice. Daily i watch your Blog and Website. Really Good. i am a student sudying 12 std. i like your voice very much. i am a greatest fan of yours. please continue your singing forever. i like to sing with you. thank you.